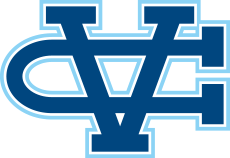 Belmont, CA - The Valley Christian Cross Country team opened their season Friday at the Crystal Springs Scrimmage in Belmont. The same course hosts the WCAL and CCS Championships in November and saw some impressive performances and debuts. Cameron Lockard and Wesley Deffenbaugh led the way for the boys both finishing in 17:48. Ben Buckman followed up an impressive run at the team time trial with a strong run of 18:55. Top freshman was Jonathan Pappas who finished in 20:04. One of the most improved athletes from last year is Ragav Saran. The sophomore ran a 90 second personal best from his run last year at the league championship. There were many great performances from the young boys frosh-soph team as six athletes all came in within 90 seconds of each other: David Shao, Brandon Gaedke, Aaron Stevens and Jack Adamson. The girls were led by Mackenzie Thomas who finished second in 20:48. It was a strong season opener for the sophomore ran 19:42 here last season and currently stands at #13 on the Warriors' all-time list. Freshman duo Jordan Han and Katelyn Stone were next to finish coming through in 21:02 and 21:21, respectably. Sophia Patterson finished in a personal best 21:44.